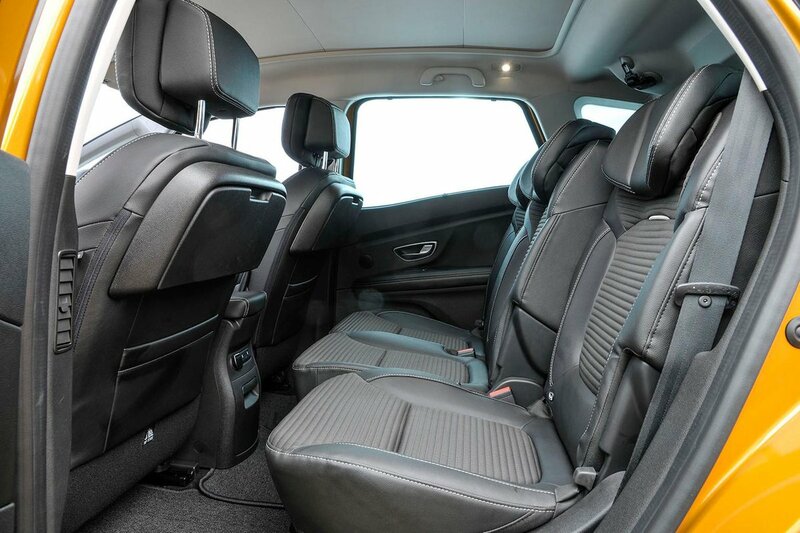 Renault Scenic Boot Space, Size, Seats | What Car? The Renault Scenic scores family-friendliness points over rivals with its class-leading boot space. Depending on how much you need to carry, you can slide the rear bench forward or backwards to prioritise either carrying capacity or rear leg room. However; even with the bench slid all the way back, though, taller adults may find themselves with less space for their legs than they’d like. The floor is also quite high, so taller individuals will find their knees getting in the way of the folding tables. There are cubbies under the floor, but we do wonder if a deeper footwell would have been better. Either way, there are certainly more spacious rivals. The glovebox is rather small, too, with the fuse box taking up a large amount of space. It’s not all bad. Most models get a sliding centre console that has loads of room for those odds and ends you’ll want to use during a journey. It also has a 12V and two USB sockets for front-seat passengers, and the same again for those in the back. The way slides is handy for separating quarrelling kids in the rear quarters, too, although it does impede the folding of the seats. All but the entry-level model gets a rear bench that folds down electrically; this is controlled from the boot or via the infotainment screen.